Are you a young adult with couple of pounds (or more) extra? Are you a women over 30 who has gained weight with each pregnancy and can’t take it off? Are you a man over 30 worried about the potbelly beginning to grow on you? Struggle to look and feel younger? Stress is driving you to overeat? Are you looking into mirror longing for slimmer figure? No matter who you are, what is your age, you CAN take better care of yourself , loose weight, feel and look good and be healthy by losing weight naturally. Being overweight increases your risk of diabetes, high blood pressure, and heart disease. Actually you are at risk from flat feet to some kinds of cancer. It was not too long ago that the U.S. surgeon-general asserted that, with 300.000 deaths per year related to overweight and obesity unhealthy diets were implicated in almost as many preventable deaths as smoking. In January 2003, Dutch researchers published one of the first major studies regarding premature death from obesity. In The Annals of Internal Medicine, the University of Groningen researchers estimated the lives of overweight people are slashed, on average approximately three years. That figure swells to 13.7 years for obese males who smoke. Yet, the most frightening statistic was the long-term effect of bad eating habits in a person’s younger years. This study says that if you are overweight by the time you reach your mid-30's or 40's, you still carry a greater risk of dying, even if you lose some weight later on. Bad diets early on set the stage for weight problems in adulthood, since weight is very difficult to lose. Forget old-fashion diets. Fast weight loss diets don’t work in the long run. But, probably you already know that. Dieting actually slows down your metabolic rate. For your body dieting is starvation, and it does not know how this starvation will last. So it clings to its fat until the starvation period is over, because fat is the bodies fuel reserve. Some people are lucky and have a fast metabolism and burn lots of calories in a short time. They will eat whatever and as much as they want to and still stay slim. Others with a slower metabolic rate on the other hand have a hard time to stay slim. NOTE: Restrictive weight loss diets result in lower metabolic rates, cravings and binging! I was always against dieting. I did try one or two , but with not much result. If I managed to take off couple of pounds, they came back after a while. Above all, I just could not stand being hungry. So, I gave up dieting. I prefer natural weight loss. I prefer to eat everything (almost), but less and more often. I have also introduced couple of lifetime changes, started to walk every day, exercise every other day, cut back on fat (I am using extra virgin olive oil only)..
Natural weight loss is a much slower process, but I can tell you, it is much less painful. 2) Eat a balanced and healthy diet. Read more about a healthy diet. 3) Increase metabolic rate by eating more times but less. Do NOT forget to eat breakfast and yes, you may even have snacks. Read about how to burn fat without changing how much you eat! Learn more about methods to increase the metabolic rate. 6) Start exercising regularly or at least take a walk every day (just do not exaggerate, always listen to your body). Find here more workout ideas. 7) Cleanse the colon ( I recommend Oxy-Powder, a top quality colon cleanser), and get rid of the harmful parasites that live and breed inside your stomach, small and large intestines and colon, that will eventually prevent you from loosing weight. Learn more. 12) When you achieved your ideal weight - keep it off! 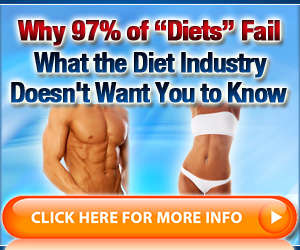 Check out The Diet Solution Program,the #1 All Natural Diet & Nutrition Program on the Internet! Read the review about the program here! Well, it is not going to be easy! But small changes can make a big difference on the long run. Your best plan of action is to make moderate changes in your diet. If you are overweight that means you are taking in more calories than you burn. Reduce the amount of calories you are eating now each day by 500 to 1000. But be careful! Weight loss experts don’t recommend eating less than 1,200 calories. Going lower than 800 calories can be dangerous . Visit your doctor first in order to get medical supervision. Learn more about daily calory intake calculation. Absolutely no one can guarantee a finely tuned body in five days, five weeks, or five months. By eating properly, staying active, and keeping a positive mental attitude, you will see improvements. Focus on things that have nothing to do with your weight. If your weight keeps depressing you, turn your attention to something else (Taking a walk for instance!). Sorry to tell you, but you will have to make some life style changes. Making several changes and sticking to them will help you make sure you don’t get on a gain-again/lose-again program. If you eat certain foods, exercise, sleep and rest, you automatically program your body to burn more fat instead of storing it. Research shows that you’re not going to shed fat with more exercise, more deprivation, more dieting, more willpower, and more guilt about eating "bad" foods. But if this is not the answer, that means it’s time to shift gears and break out of those old routines! A NEW LIFESTYLE MEANS A NEW YOU!